Join us for our March lecture on 21 March in the Old Girls’ School (Library), Corrandulla. Michael Hurley will speak on The Fair of Turloughmore. Fáilte roimh chách! 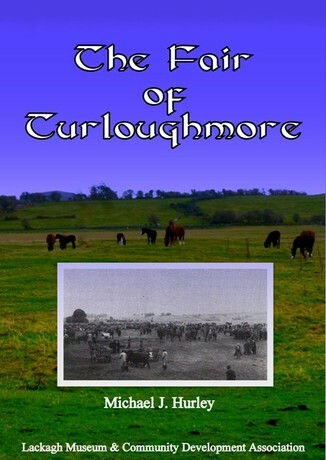 Granted a Royal Charter in 1616, but almost certainly in existence prior to that date, The Fair of Turloughmore became one of the most important events for the selling and buying of livestock, and for sporting encounters in Ireland. This talk will detail the atmosphere surrounding the twice-yearly fair and the people who frequented it. It also deals the the infamous ‘faction fights’ for which the Turlough Fair became noted, and indeed which culminated in the deaths of three men in 1843. This presentation will tell of the dealers who followed the fairs of Ireland and of the demise of the traditional fair with the advent of livestock marts. Michael Hurley is the author of several publications on the Lackagh/Turloughmore area, including The Fair of Turloughmore, published in 2016 by Lackagh Museum and Community Development Association. His latest publication, an account of the Lackagh/Turloughmore Dispensary, is forthcoming.